If you're a welding hobbyist, student, inspector – or someone who prefers doing things the original way, the Jackson Safety W10 Passive Lift Front Welding Helmet is a terrific choice. It features a Shade 10 polycarbonate filter that helps protect the wearer's eyes from radiant energy during welding, and a washable black thermoplastic shell to help protect the face, forehead, neck, and ears from weld sparks and spatters. The lift front fixed shade filter lets the welder raise the welding mask between welding tasks (to view their work) and measures 2 x 4-1/4 inches (H x W). This welding hood is manufactured to comply with American National Standard Institute/International Safety Equipment Association (ANSI/ISEA) Z87.1+ standard for high mass impact protection and welding use. If you need a cost-effective, durable welding helmet that gets the job done, you can trust Jackson Safety! 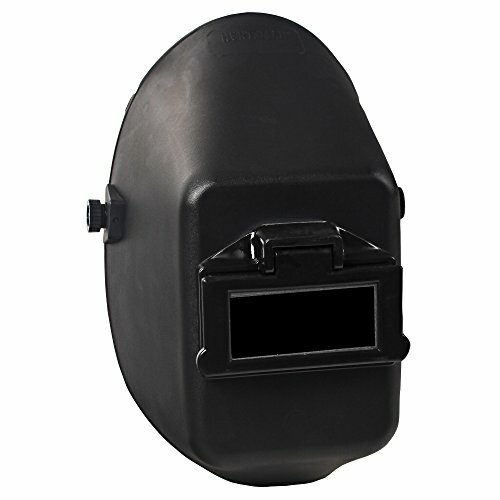 The Jackson Safety W10 Passive Lift Front Welding Helmet features a lightweight, durable washable thermoplastic shell. The Shade 10 polycarbonate filter helps protect the wearer's eyes from radiant energy during welding and the lift front filter eliminates the need to raise the welding hood. The washable thermoplastic shell helps protect the wearer's face, forehead, neck, and ears from weld sparks and spatters. Meets ANSI Z87.1 - 2010 standards, so you can feel confident about choosing this welding mask, whether you're a hobbyist, student, inspector or serious welder. Fixed shade filter measures 2" x 4-1/4" (H x W).